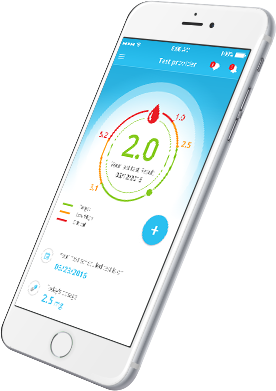 ClotMD connects patients, healthcare professionals, and PT/INR monitoring providers enabling a consistent, reliable, and real time solution to manage the therapeutic use of warfarin, on any computer or mobile device. With ClotMD, easily manage on-site testing or managed home PT/INR monitoring while enhancing patient care and improving your business. ClotMD offers you the competitive advantage necessary to grow your business and increase PT/INR monitoring referrals. With ClotMD allow your physicians to effectively manage their patients with a fully integrated Warfarin monitoring solution connecting the dots between patient, physician, and PT/INR monitoring provider. While warfarin therapy is a highly effective treatment regiment in the management of anticoagulation, it requires patients to adhere to consistent testing regiments to monitor their PT/INR levels. When patients miss scheduled testing, fall out of their target therapeutic INR range, or have INR levels that are critical, it can impact not only the patient’s health but your business as well. A patient’s condition can change rapidly when on warfarin therapy and requires consistent, reliable monitoring of Prothrombin Time PT/ International Normalized (INR). With ClotMD, the management of the patient’s anticoagulation is made simple connecting everyone involved in the patient’s healthcare continuum real time. With ClotMD, avoid costly complications that enable physicians to respond to a patient’s rapidly changing condition enhancing patient care, while improving your business. Receive automated dosage alert changes allowing for the opportunity to quickly correct the treatment regimen if the PT/INR result is not in the desired range. Improve patient adherence to therapeutic and testing regiments while keeping the patient actively involved with their health.